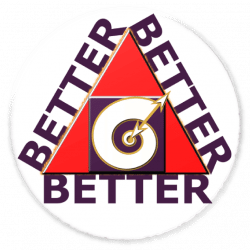 As a Marketing Cooperative​, Better Better Better provides strategies, tactics, and materials for our owner's businesses. We bridge the gap between clients and companies around their common ground: the desire to be better. Whether that means a better bargain, finding a new solution to an old problem, or more responsible corporate stewardship, businesses only succeed when they are making things better​. Sometimes, when that value is not apparent to the consumer (such as manufacturing or hiring practices), the customer doesn't understand the full impact of business and makes spurious assumptions. Since most modern consumers are willing to pay more for the same product that has a "good cause", this not only transforms consumer opinion of your business offering and businesses as a whole, but also improves your bottom line. How can B3 help me? We provide myriad services for developing businesses. Since we guarantee that everything we do yields a positive ROI, most of our work falls under the umbrella of ​growth hacking​ due to low-costs and high-yields. Since our own Social Mission is to improve worldwide wealth through the promotion of the best practices in business, we finding the right message for your audience and then delivering that message to them. This can mean the production of websites, social media management, email drip-marketing, installing new analytics, or really just about anything. If you need web exposure, we will find the best tool to get your business to the top of Google, trending on Twitter, or viral on Reddit. If you need to build long-lasting relationships with a few valuable clients, we will outfit you with a top-of-the-line CRM to nurture the incoming leads from a niche-topic webinar. 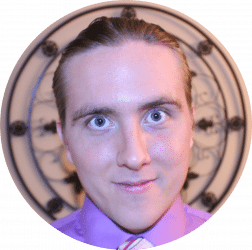 If you need to build a community, sell courses, or push products, we will work with you to create nascent strategies with demonstrable benefits. Every year, new marketing reports from global thinktanks and marketing conglomerates agree: consumers demand more and more corporate social responsibility (CSR). What does this mean for businesses? In 2015, more than 70% of consumers in a high-powered international poll agreed that they would pay more for the same good​ ​if it belongs to a social responsible company​ and this trend has been growing for decades (1)​. Since Social Missions do not advertise themselves, it is imperative to find your voice by marketing to morality. The long-term effect is a net savings in marketing efforts since social missions generate customer advocates through thought leadership (2). Interested? Read a little more about what it means to work with us based on our open letter to business owners. Start by reaching out to us via the contact form here. Finally, we have a limited selection of services available from our online store. Of course, most marketing services require a consultation and estimate. You can rest assured you will get the best value possible all cooperative members get a share of the profits at the end of the year!